We’re excited to share the current issue of Grassroots Fundraising Journal, Deepening Donor Relationships featuring Social Justice Fund. 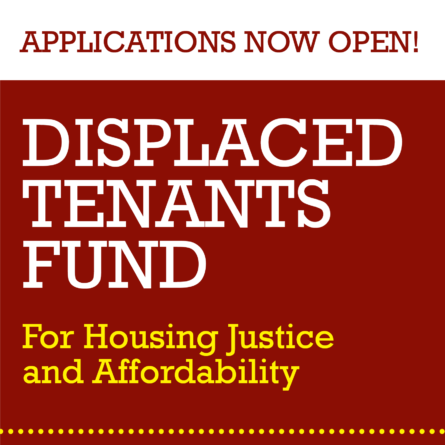 In this article, Executive Director, Zeke Spier shares very candidly how Social Justice Fund has gone from an organization on the brink of closing its doors, to an organization that’s growing, thriving, and gaining national attention. Below, is an excerpt from the article. The full article is a pdf attachment below. 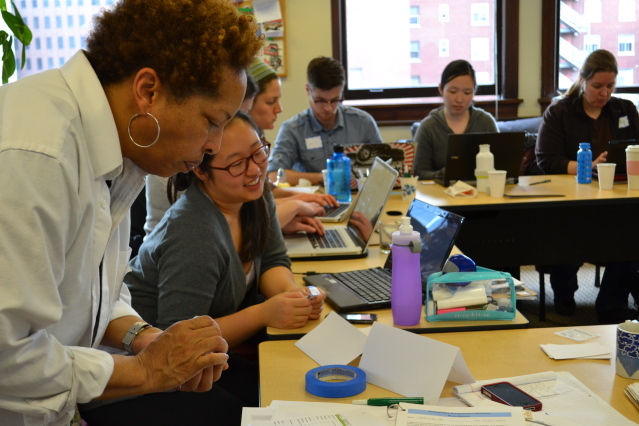 Project Manager Karen Toering guides last year’s Environmental Justice Giving Project participants through a democratic grant decision-making process. 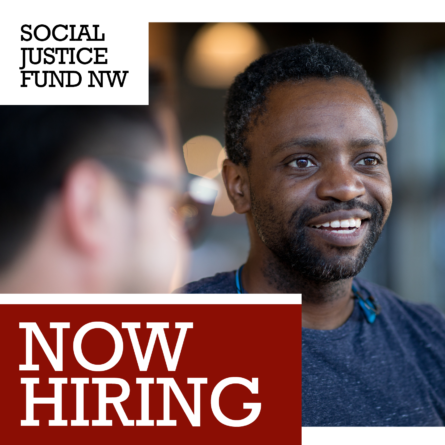 IN 2010, SOON AFTER OUR 30TH ANNIVERSARY, Social Justice Fund NW was faced with a difficult (and common) problem: our donor base was aging and shrinking, and our relationships were feeling increasingly tenuous. Many of our 300 donors, especialy those giving the most, had been contributing for 10 years or more. Additionally, only a few dozen were younger than 40 years old. We had been running significant deficits for two years, and our reserves were depleted. 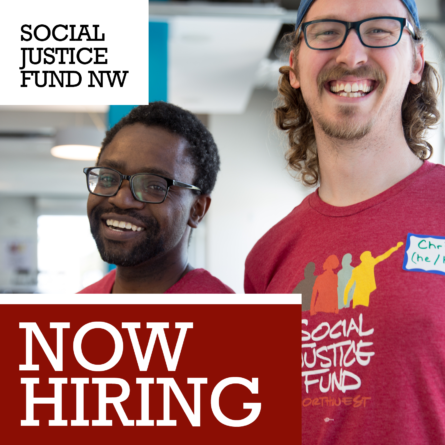 Social Justice Fund is a member-funded foundation that makes grants to small-scale community organizing groups working for justice and equality in Washington, Oregon, Idaho, Montana, and Wyoming. Our ability to fund our grantees is almost completely dependent on our fundraising. Just as many larger progressive funders were cutting their grants, we too had less to give. As our board and staff met to figure out Social Justice Fund’s future, everything was on the table including merging with an- other organization and closing our doors. We tasked small groups to explore the implications of these options. One of the groups had the broad and ambiguous goal of finding “new models” that would bring sustainability. As 2010 rolled on, we realized that we had already started a new program that could become the new model we needed. Four years later, we have more than 1,800 donors, the majority of whom are under 40 years old. We have doubled our income and are investing in future growth. In the rest of this article, I will share the details of our model and the lessons learned for others who want to maintain and grow their donor base. About GIFT: The Grassroots Institute for Fundraising Training started 14 years ago by the Center for Third World Organizing and the Southern Empowerment Project, two longtime organizing training centers. The Grassroots Fundraising Journal is a national fundraising resource written by, and for grassroots fundraisers.